Realistic training exercises took place on Redstone Arsenal Tuesday to better prepare officials in the event of an emergency or an active shooter. Proceeds will go to tornado victims..
Redstone arsenal is now more prepared this afternoon to respond to an emergency. The community took part in an active shooter training today ... and the scenes looked about as real as they can get. 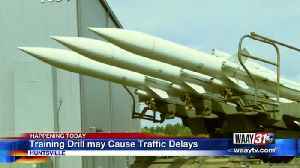 Waay31's casey albritton is live at the arsenal to tell us how today's drill went. Officials told me they try to make these as realistic as possible... even using victims and fake blood. And the garrison commander here tells me, the drill was a success. Kelsey smith/ commander "put yourself in one of those locked in rooms...and you are down to the last ten seconds...you've got to solve the last puzzle to get your family out of the room." Garrison commander kelsey smith says this is how quickly arsenal first responders need to react to a real-life emergency situation. Kelsey smith/ commander "we have emergency action plans...for what i would consider to be the 50 most likely occurances that could occur here from tornadoes to hurricanes to active shooters." Commander smith says these exercises take months of planning. Kelsey smith/ commander "we cannot afford to be wrong...we have to be right every single day." He says the situations are realistic...people give c-p-r and even police dogs are brought in. Kelsey smith/ commander "they went in and they had to breech the doors. They had to identify the victims who were in moulage kits...which means they looked as if they were bleeding." 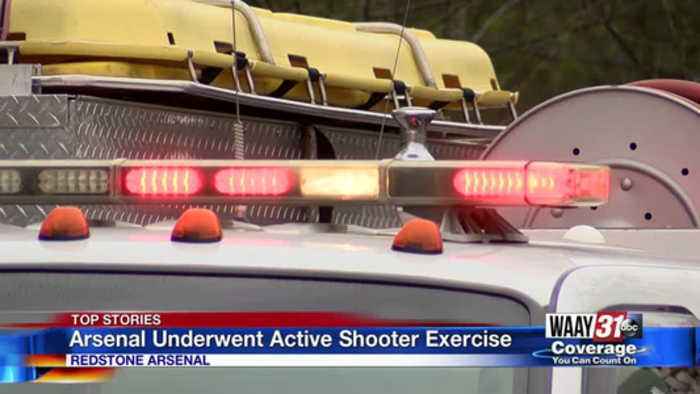 Local law enforcement and first responders participated in tuesday's training... and commander smith said they had the situation under control in about 10-minutes. Kelsey smith/ commander "no exercise is without it's smith told me 2,000 people were directly involved in the exercise today. The trainings are required by the army and are performed twice a year to ensure safety.